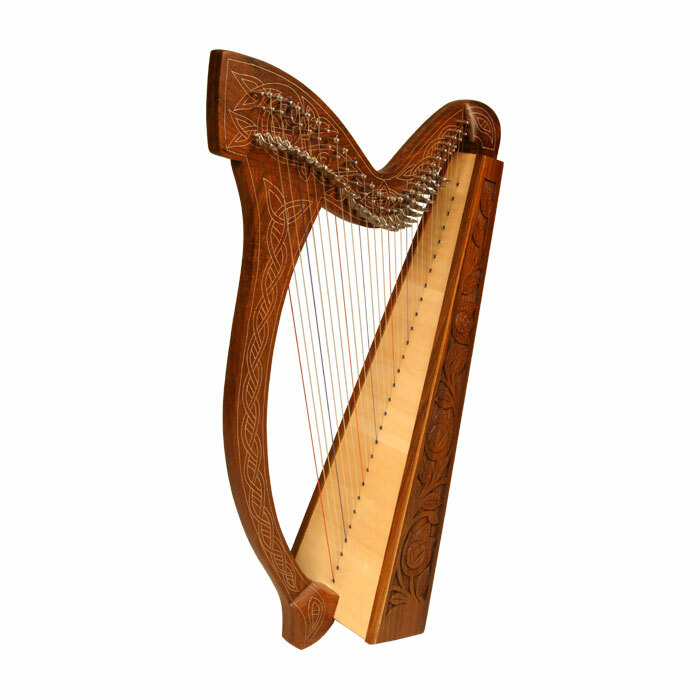 This Mid-East mini harp is approximately 38" high. Featuring 29 DuPont hard nylon strings, a range from C below Middle C to C above High C, 24 sharpening levers, engraved and inlaid rosewood frame and a birch soundboard for exceptional sound and strength. Stylistic Celtic Thistle design hand carved in side panels.